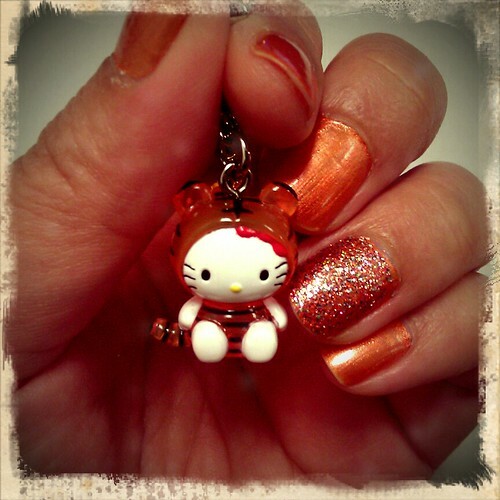 A new Hello Kitty phone charm from the Hubatron :), originally uploaded by Tygriss. It's super cute, but OH MY GOD I LOVE YOUR NAILS!!!!!!!!!!!!!! Yay Thaaaaank you! I love the little extra holiday *flare* the glitter adds!